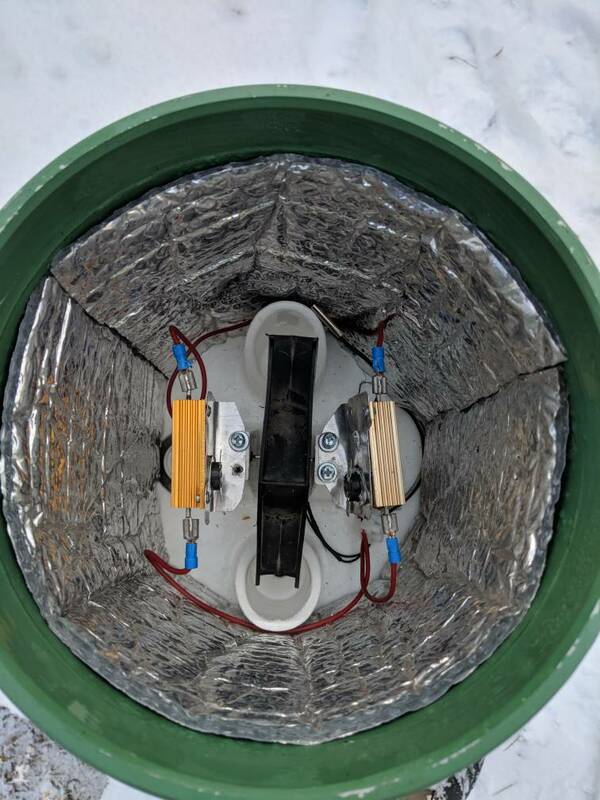 Nice to see my diy heater is working.y Acurite is all frozen up, but my 8" with the heater handled the last snow storm well. Looks good. I see some bi-metal thermal switches, but they don't seem to be connected. Do you have some kind of temperature control for it? I have a heater built into my Davis rain gauge and the temperature can get up to about 80°F (27°C) with the 85°F cut-off discs. Curious about the power supply voltage and resistances you used. What was the metal foil insulation you used called? Was it at a hardware or big box Menards/Lowes/Home Depot type of place? The collector looks a lot like a couple of WeatheTronics that I have (unheated). I have one new one that is supposed to be hooked up to 120v for heater, but I'm afraid to run that voltage and power to something that I'm fiddling with out on wet ground. I'm thinking some low voltage setup would be better. Oh, your own personal recording of water received is fine,but what do you report as inches of snow? Do you make a separate measurement with the old ruler method too? Greg, you do the same and just record both water as rain measured and the actual snow received separately? 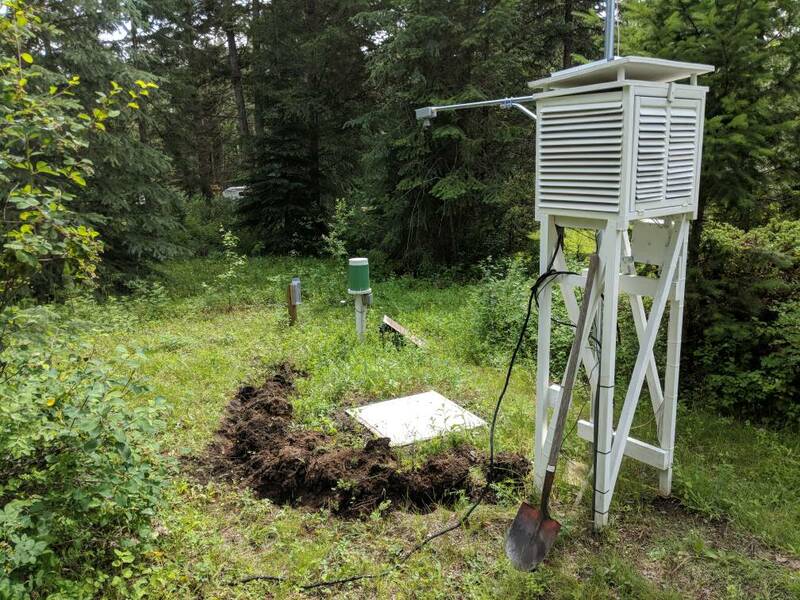 It's all work in progress when working and building things for the weather station. The bi-metal thermal switches will be hooked up as a safety in case the controller goes. I use 2 x 50W Watt Power Metal Shell Case Wire wound Resistor and they are controlled by a -50-110°C W1209 Digital thermostat Temperature Control Switch 12V + sensor. I ended up feeding the resistors 24 volt and 12 Volt to the control switch. So far it has been good, but it will be interesting when we have -20C around here. The insulation is regular bubble insulation that I had left over after wrapping my hot water heater with it. You can get it at Home Depot. I also measure regular snow depth with a ruler and I do manually measure the melted values of the snow. Greg, you do the same and just record both water as rain measured and the actual snow received separately? I have a CoCoRaHS gauge and I like to compare the VP2 catch vs. the manual gauge. I have a snow board and 0.1" snow measuring stick that I use for the report. I post the VP2 reading in the comments of my report, and it also gets uploaded to the usual suspects. My CoCoRaHS id is MI-PI-1. 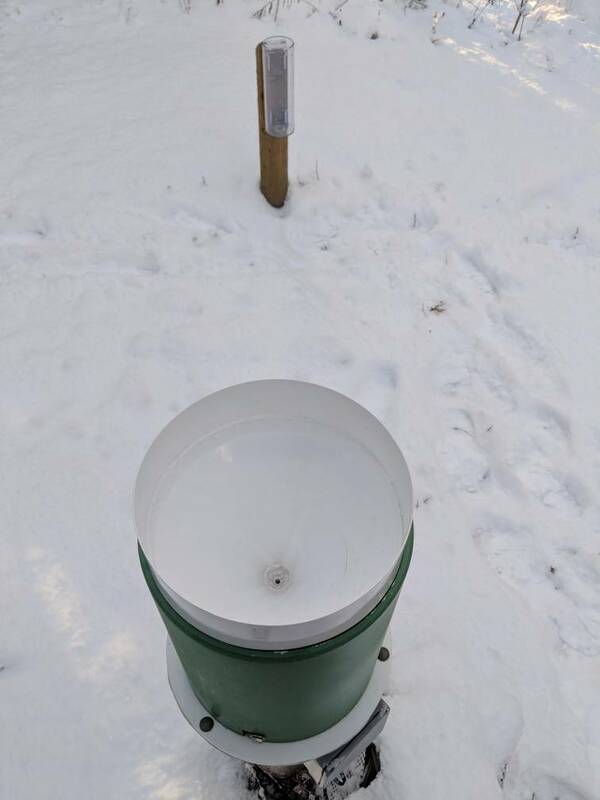 The CoCoRaHS SWE is either by weight or melting, depending. I usually weigh it with the approved scale. The heated gauge tends to evaporate (sublimate?) light snow fall. I believe that it melts and evaporates before it can make it down the funnel sometimes. Heavier wet snow seems to work better. When it gets really cold, my heater struggles to keep up, but it always above freezing even in the coldest (single digits °F) temperatures. 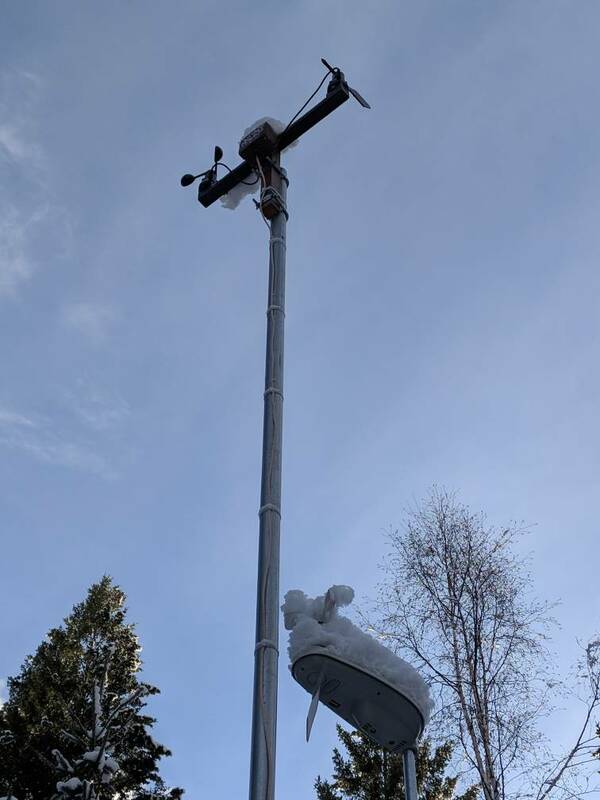 The main reason that I have the heater, is that I find it annoying to have a bunch of precip recorded on a sunny warmer days days (or even weeks) after the last snow fall. At least it keeps the gauge funnel cleared. Going to put those power cables inside a PVC or metal conduit tubing for safety's sake? Yes, first digging then water proof conduit.